Steve has cared for horses his entire life and started Barns by Gardner in 1977 with an understanding of the practical needs of horse owners. From the beginning he implemented the highest standards for construction using the strongest building materials and hardware. Woodworking and working around horses are second nature to Zane. 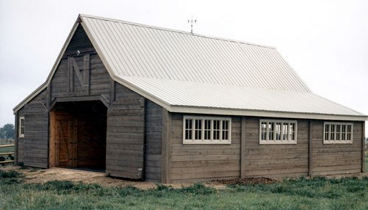 He has been crafting barns since 1984 and has overseen the building of over 260 projects. He became President of Barns by Gardner when his partner Steve Gardner retired in 2009. Zane feels the craft of custom wood pole barns is unique. In over 26 years, no two have been the same. Whether it’s the floor plan, the type of siding, or the accommodations for animals other than horses, each barn is one of a kind. Since day one on the job in 1997, Rob has been passionate about building barns. Seeing a project develop from the initial drawing, to setting the poles, to the finished barn is very rewarding. Rob was raised around horses and animals, and he continues to help with the management of his wife’s family farm in Eastern Colorado. He applies that experience as Vice President of Barns by Gardner by helping customers to realize their vision for a beautiful, useful barn. Created by Barn Door Marketing Services, Inc.
Barns by Gardner is licensed and insured, and is a Better Business Bureau Accredited business with an A+ rating.